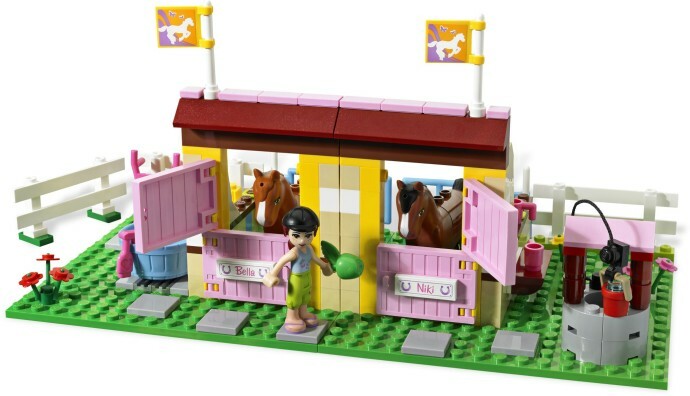 Head off to Summer Riding Camp with the LEGO Friends! reading each other stories before they go to bed in the cool camp bunkhouse with 4 beds. 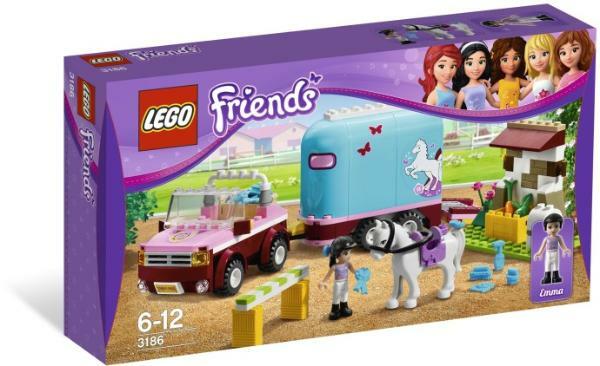 Load the LEGO Friends into the mini-bus! 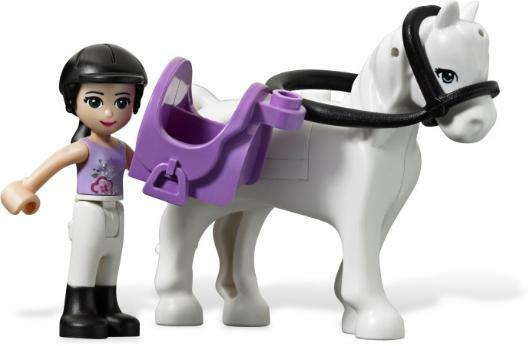 Ride, groom and feed the horses! 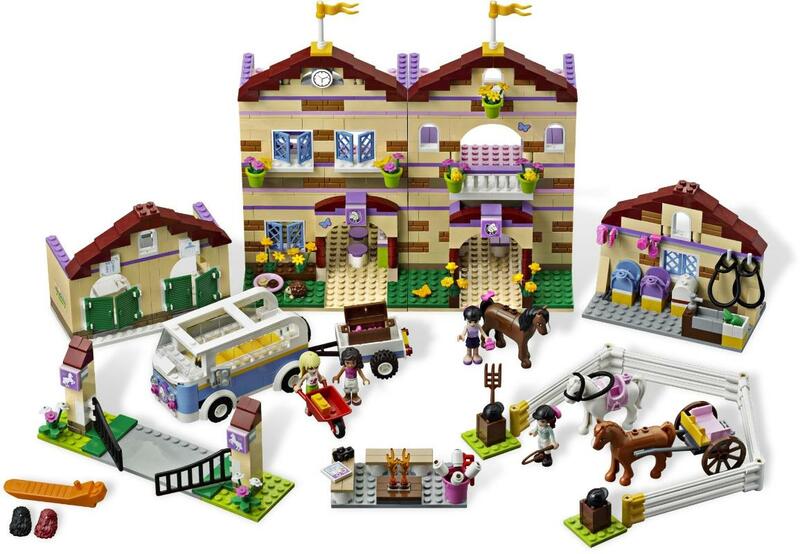 Rebuild and create new ways to play! 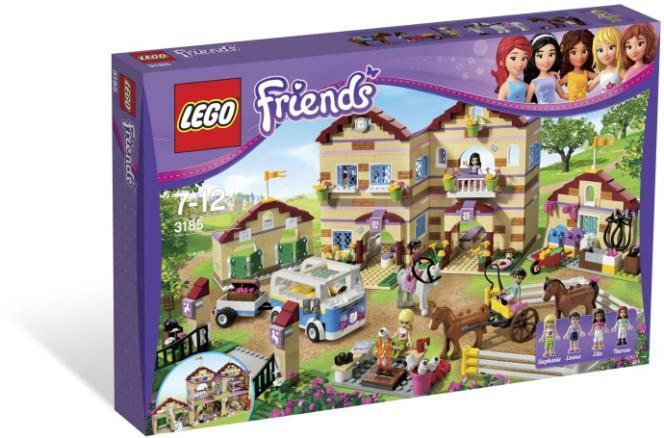 Collect all of the LEGO Friends sets for a whole city of LEGO Friends fun! 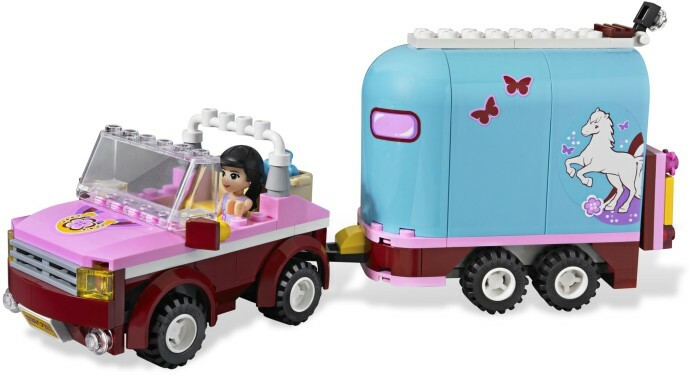 Take the LEGO® Friends fun anywhere with the Adventure Camper! 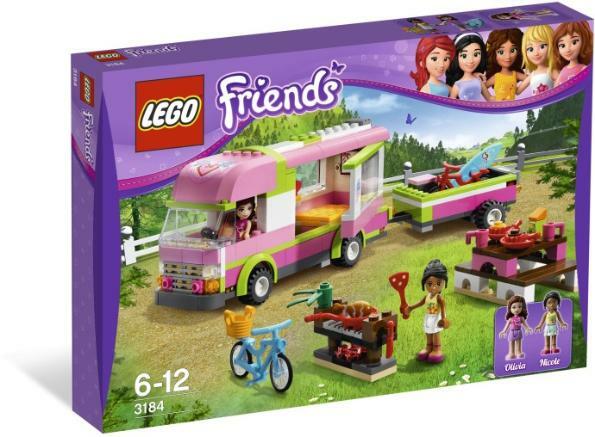 Olivia and Nicole are packing up the Adventure Camper for summer fun in the wild outdoors. 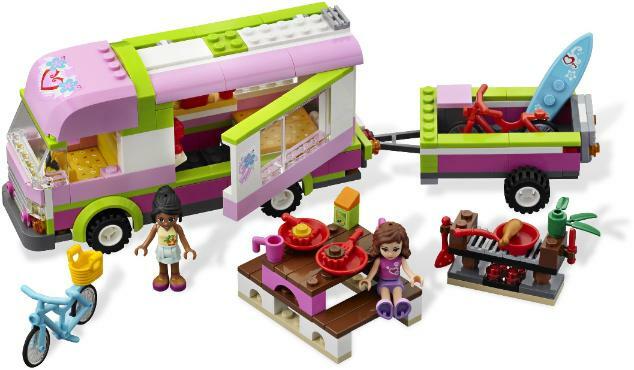 camper to the mountains, the forest, the beach or anywhere your imagination wants to go! Adventure Camper to play inside. 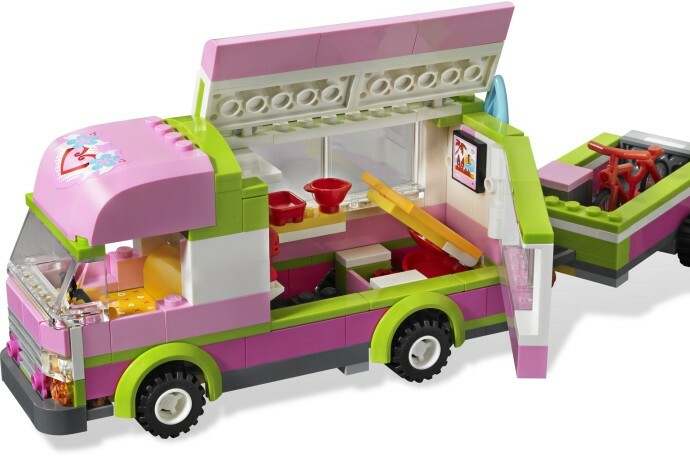 Open the roof and doors of the camper to play inside! Lift the camper cushions to store everything you need! Seat both mini-doll figures in the camper’s front seats! with thousands of customizable fashion and accessory combinations! 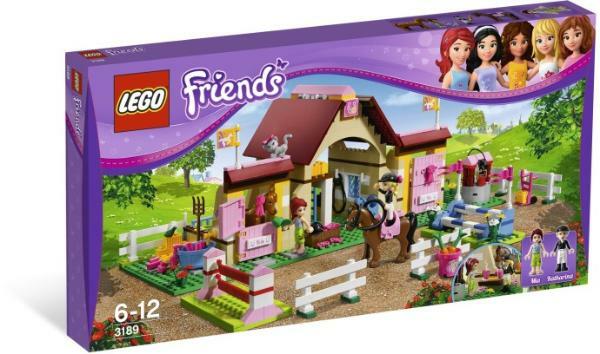 Hang out with the LEGO® Friends and their horses at Heartlake Stables! the stable door! 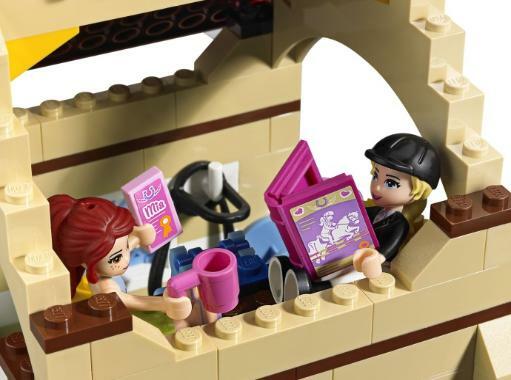 Then take a break in the hayloft lounge with cups and read a book on horses. 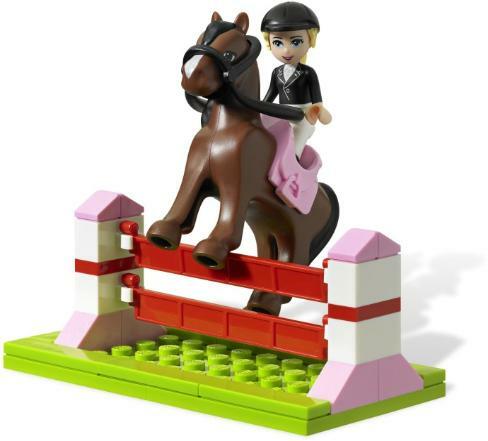 Prepare for the competition with the saddles and practice jumps! Hang the prize ribbon on the stable door! 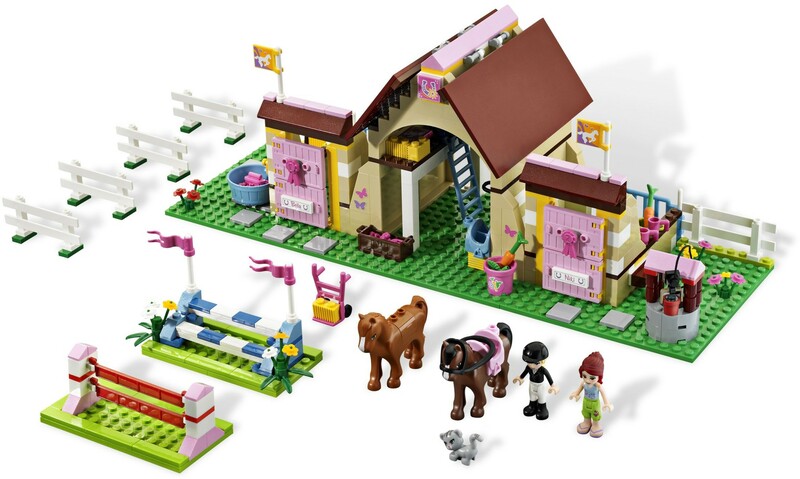 Open the barn roof for easy play inside and to hang out in the hayloft lounge! 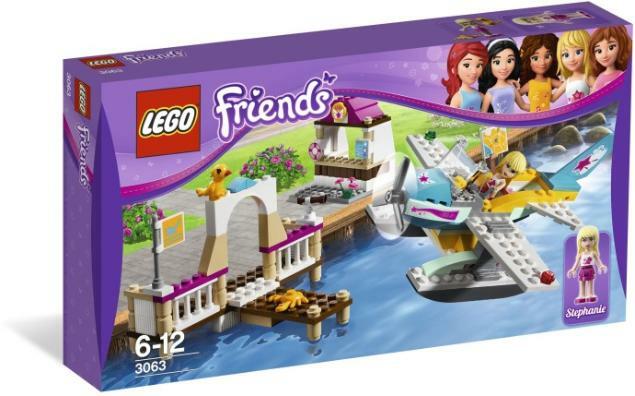 Head for the sunny skies of Heartlake City with Stephanie's seaplane! 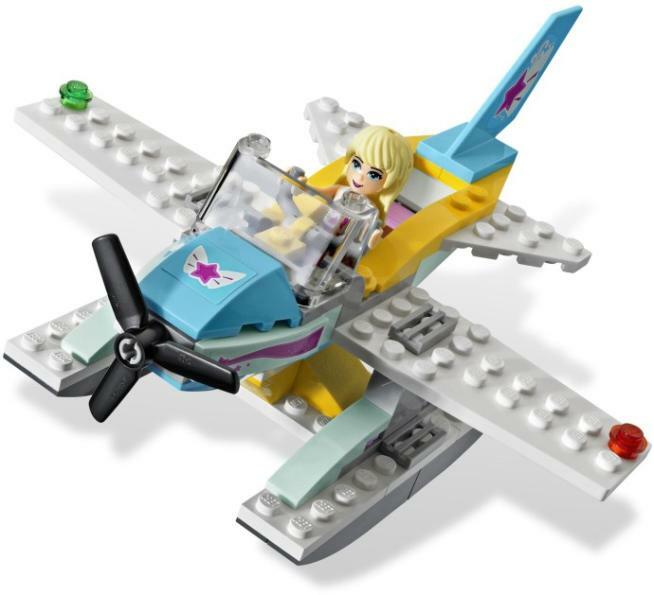 Soar the sunny Heartlake skies with Stephanie! 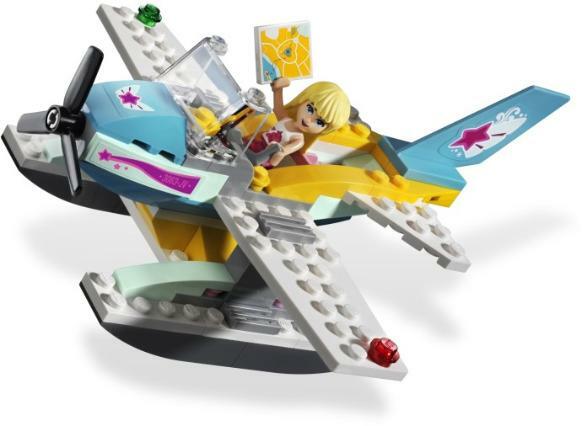 Find sky-high adventure at the Heartlake Flying Club where she takes flying lessons. Stephanie can practice piloting her very own seaplane and earn her diploma! Practice flying and earn a pilot's diploma! Look through the telescope to find your destination! 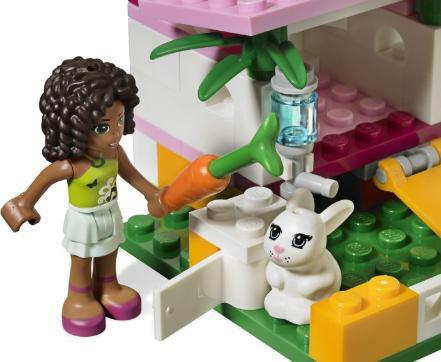 Hop over to Andrea's Bunny Hutch! 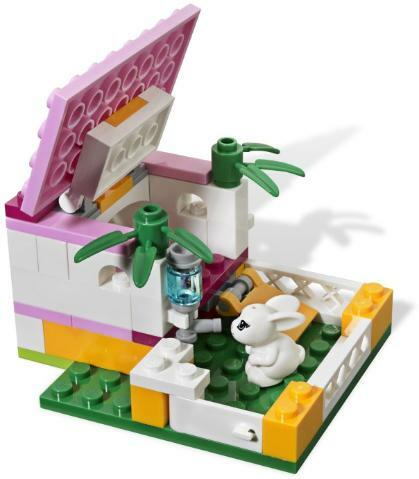 Open the bunny hutch roof to play inside! Help Andrea to take care of her furry friend! customizable fashion and accessory combinations! 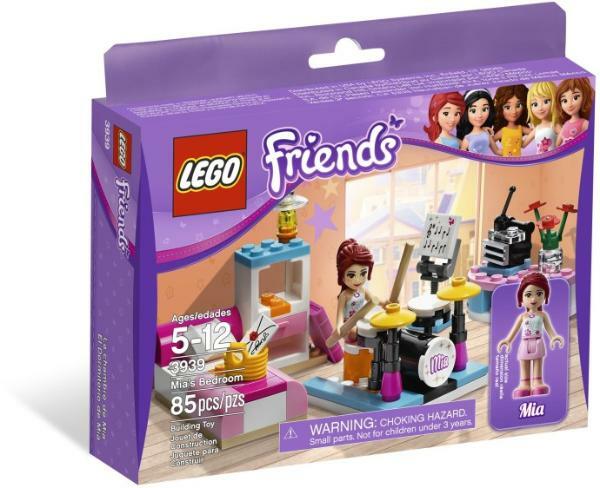 Hang out and make music in Mia's Room! 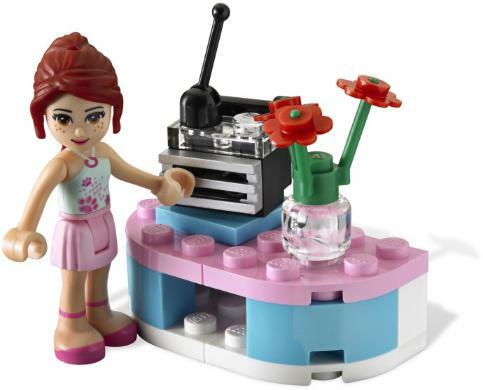 Store Mia's diary in the bedside table! Hide a special letter inside of Mia's diary or in the drawer! 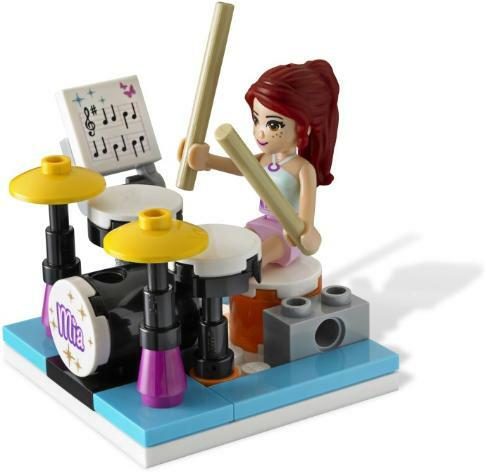 Rock out on the drums to Mia's favorite radio songs! 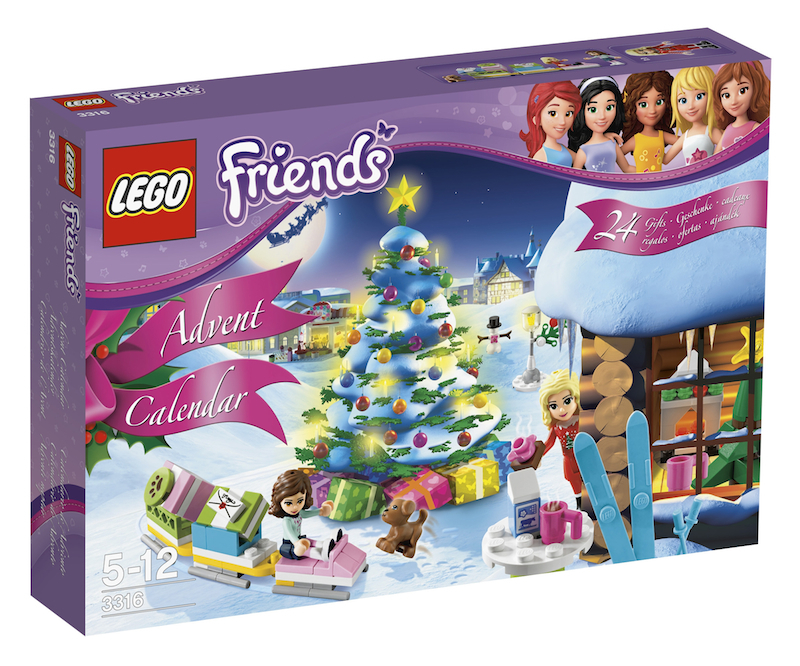 24 days of LEGO® Friends building fun! 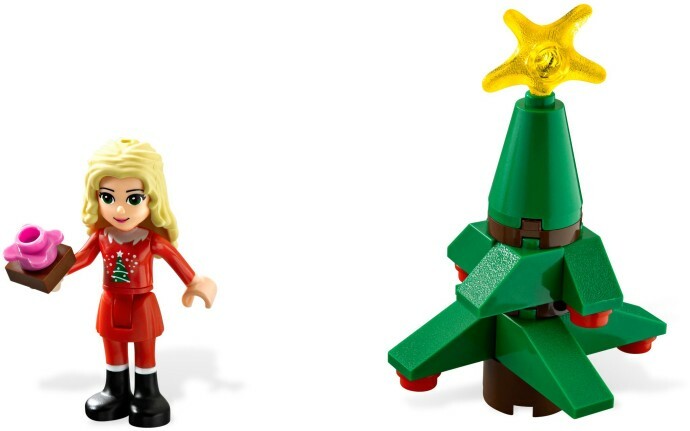 The holiday season has arrived in Heartlake City. their snowmobile and decorate the Christmas tree. 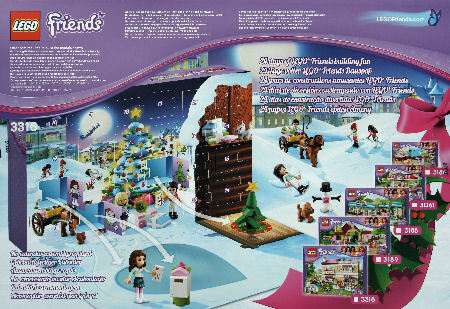 season with the LEGO Friends! 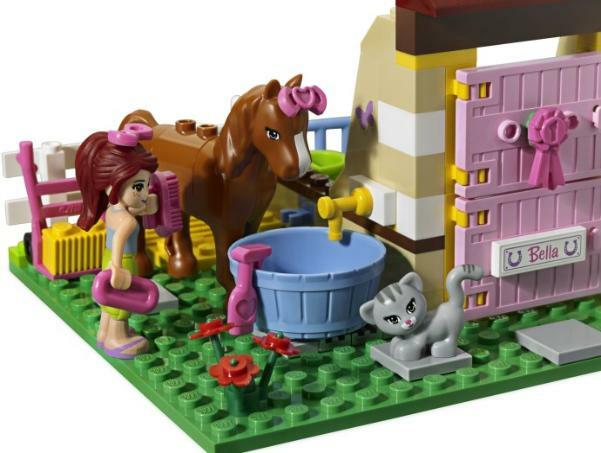 whole city of LEGO Friends fun! Win a prize ribbon at the horse show! 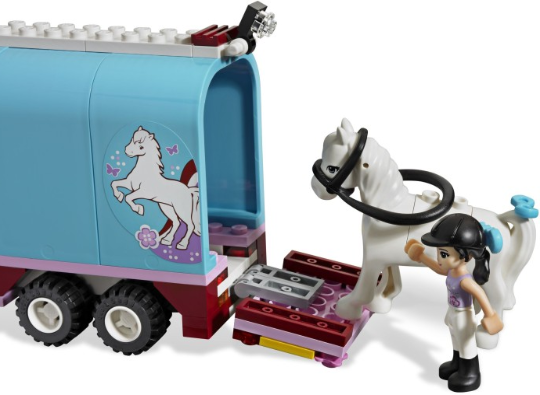 • Load Robin into horse trailer and get to the show! • Prepare for the competition with the saddle and practice jump! 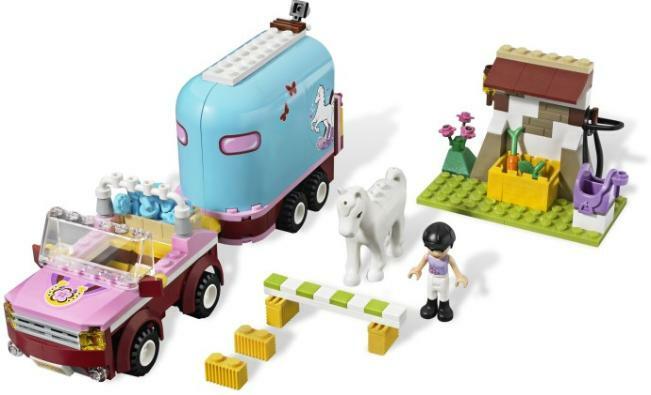 • Open and close the horse trailer with the hinged door! 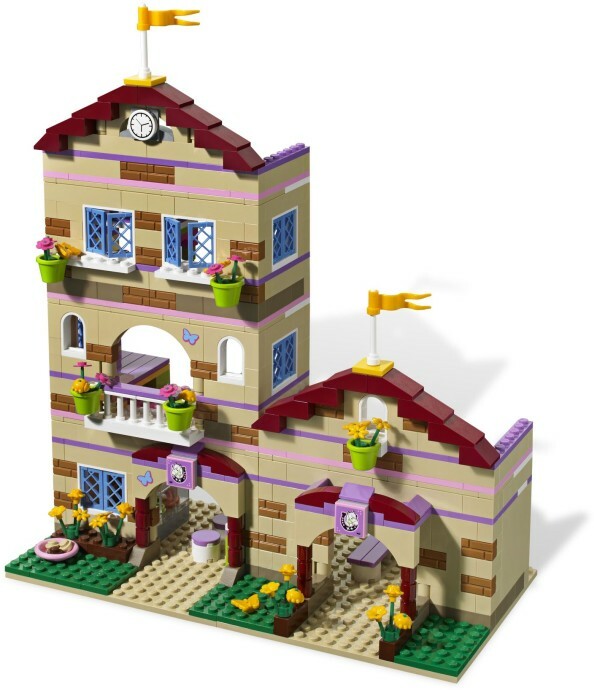 • Rebuild and create new ways to play! 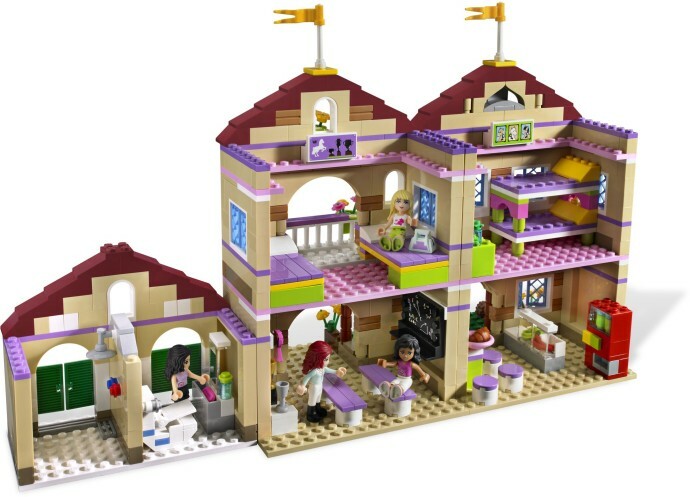 • Collect all of the LEGO Friends sets for a whole city of LEGO Friends fun! Off to the Horse Show! 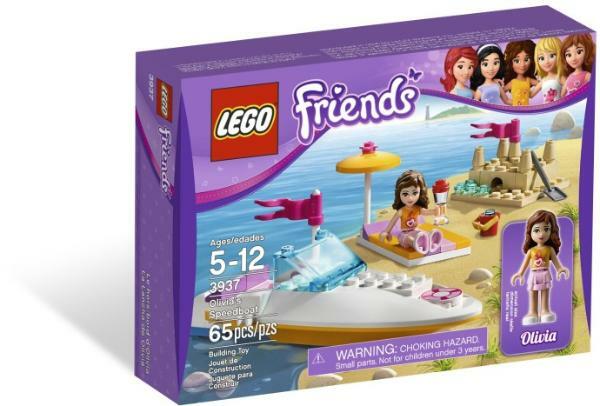 All aboard for fun in the sun with Olivia's Speedboat! castle. 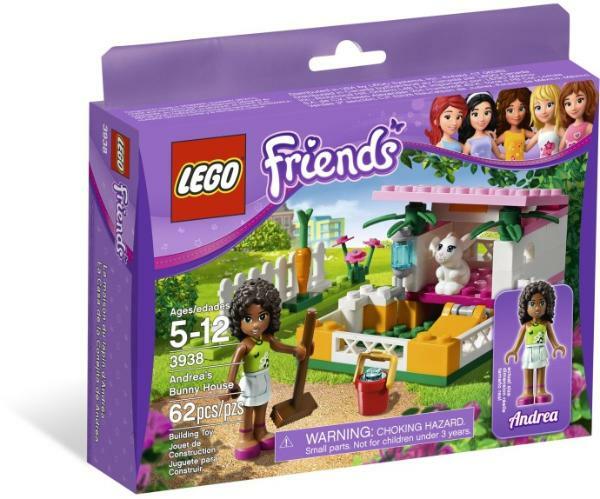 Includes Olivia mini-doll figure. 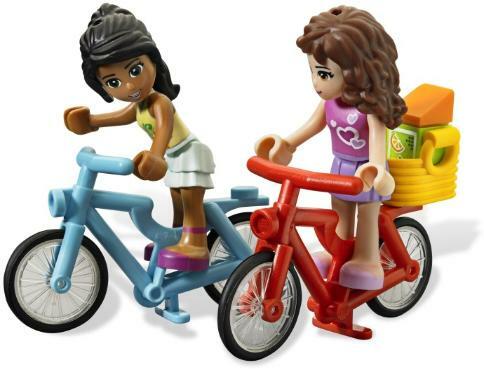 • Bring the LEGO Friends for a ride around the bay! 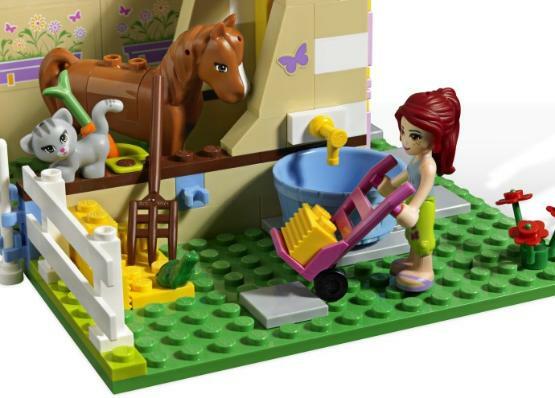 • Build a sand castle or relax in the sun! Help Olivia build a sand-castle!